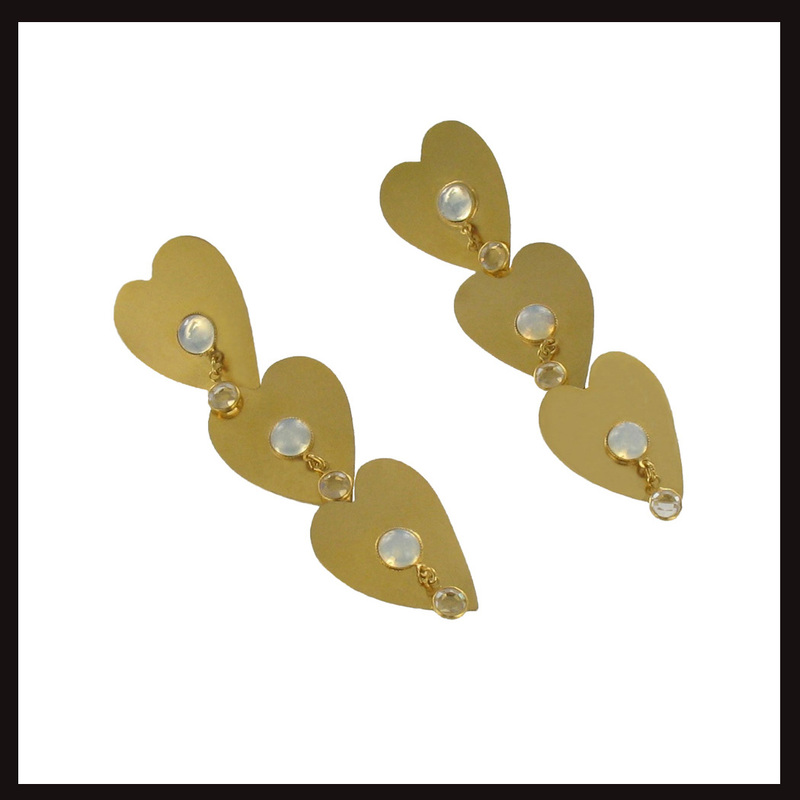 From the Dreams, Mythology or Madness collection, the Triple Heart Drop Earrings are handmade using British hallmarked sterling silver and 18-karat gold-plated. Set with round Moonstone cabochons and with spectacle set crystal droplets. 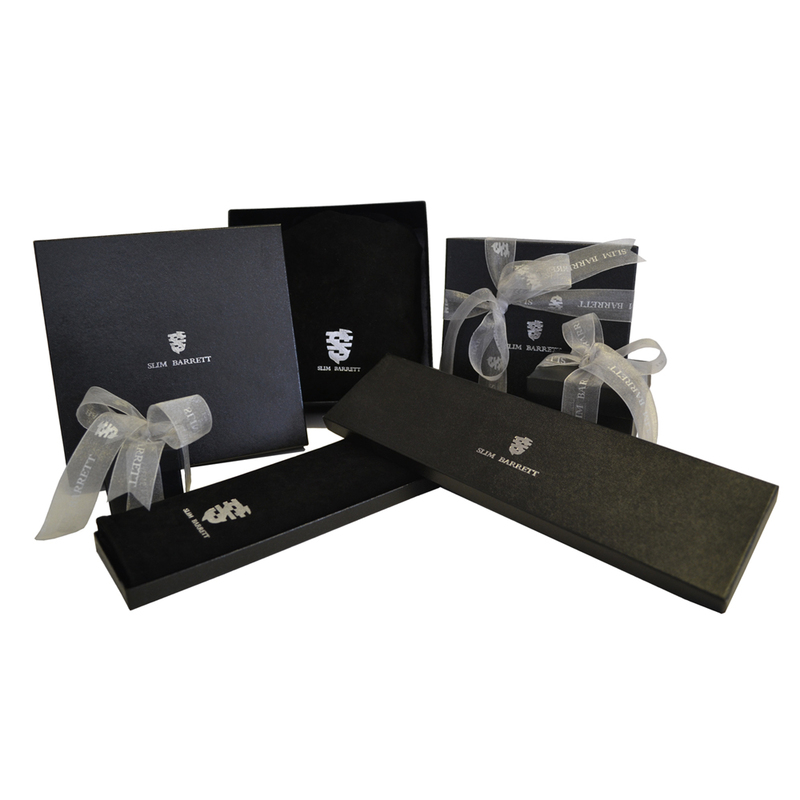 All Slim Barrett jewels arrive in our signature dust pouch and box tied with printed silk ribbon.